Description: Jesus had just raised Lazarus from the dead, and the crowds were following Him as He descended into the royal city of Jerusalem – the King had arrived! 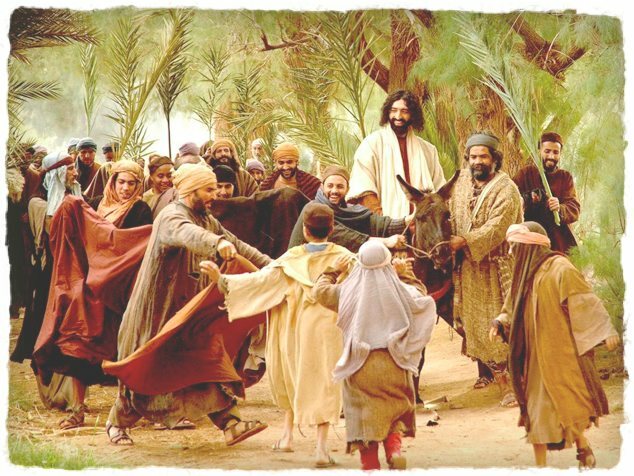 Today on this Palm Sunday, Scandia Bible Church Podcast, Pastor Monty Simao takes us to the book of Luke to show us that as Jesus entered the city, the crowds cheered and lined the road with their coats and branches as they waved palms in the air in celebration of His arrival. …But soon the cheering would stop. Soon the “hosannas” would be replaced with “Crucify him!” – and for this, while the crowds shouted, Jesus wept. You are currently browsing the Scandia Bible Church blog archives for the day Sunday, March 25th, 2018.